1 Butter one side of each slice of bread. 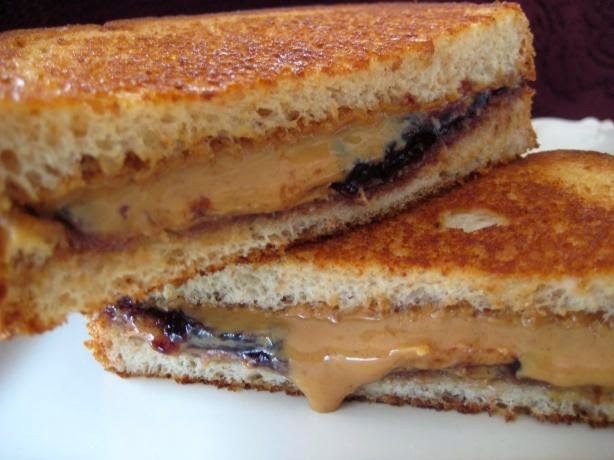 2 Spread peanut butter on the reverse side of one of the slices. 3 Spread jelly/jam on the reverse side of the other slice. 4 Place one slice of bread butter side down in a skillet on top of the burner. 5 Place the other slice of bread on top of the first slice, butter side up to make a sandwich. 6 Grill evenly on both sides until golden brown.